It’s won’t be the real Elvis but it will be several Elvis tribute artists who will be taking part in Niagara Falls Elvis Festival on the Victoria Day Weekend, May 19 to the 21st. 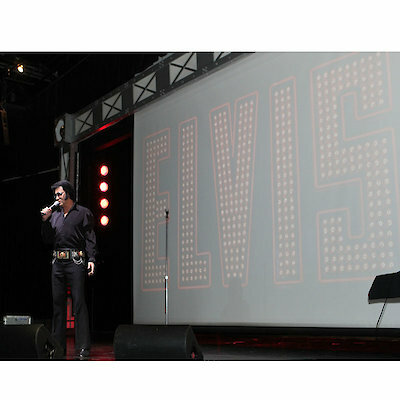 At a recent Press Conference Vittoria Wikston, General Manager of the Greg Frewin Theatre in Niagara Falls announced the festival (which is licensed by Elvis Presley Enterprises) will feature a number of award winning Elvis tribute contest winners. This festival will offer theme days. On Friday the story of Elvis will be told, on Saturday, Killer and the King (with a Jerry Lee Lewis tribute artist) will highlight the day. On Sunday the festival winds up with the acoustic Memphis Gospel Hour. Niagara Falls is one of 13 worldwide festivals licensed by Elvis Presley Enterprises in 2017. On Friday, October 21st you can see Tim E perform at the Greg Frewin Theatre. There’s a matinee and evening performance. To obtain more information www.gregfrewintheatre.com or 905-356-0777. 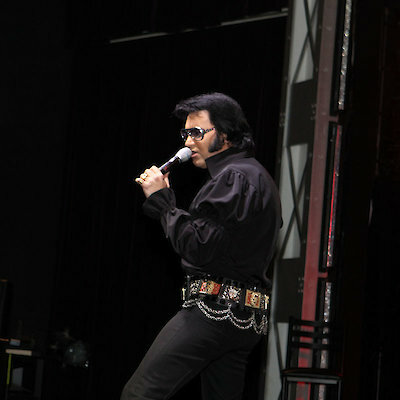 Here’s a few photo’s I took of famed Elvis impersonator Tim E. who will be performing at the festival.